Lately, the mustache became a desired look on every manly face and a sign of maturity that you don’t want to miss if you’re one to follow the latest trends.The thing is, every man can have a mustache, but not all know how to take care of it. 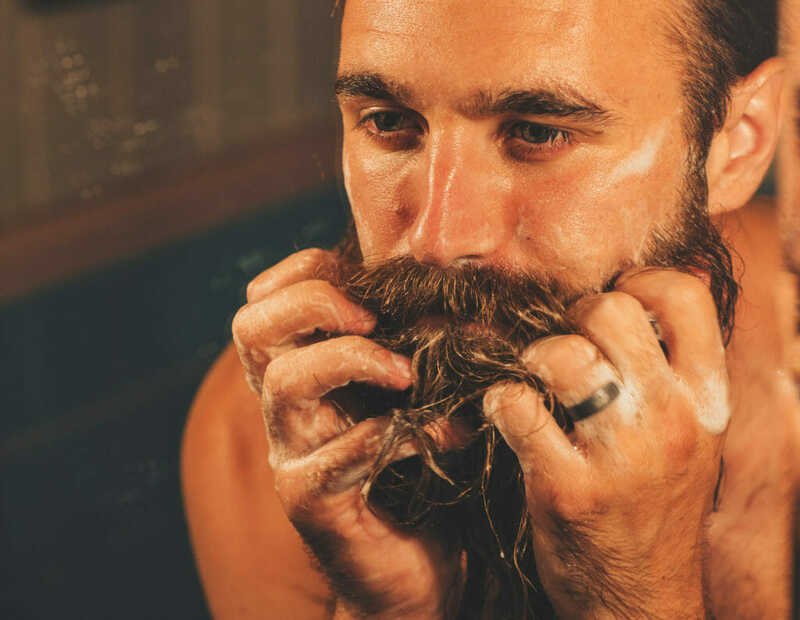 In this article, we share with you all how to clean your mustache the right way. If you want to rock the mustache look, here are some tips on how to clean and trim it. Once they become second nature in your daily shave routine, your stach-perience will get to a whole new level. A little note: the same tips and steps go for the beard as well, so you’re welcome. First of all, choose the shampoo or the facial wash carefully, only buy trustworthy and certified brands. Take a small amount of the product on two fingers and gently rub your mustache till it’s all covered with it. If you notice dead skin, it’s recommended to use a dandruff shampoo because it works even on facial hair making it cleaner and dandruff free. Wash the product off your mustache. You can use both distilled water and tap water. As usual, choose the conditioner that is certified and goes well with your skin and hair type. Repeat the same process as applying the shampoo then let it sit for a few minutes. Each conditioner has a specific duration written on the bottle. Using clean and sharp scissors trim your mustache and shape it as you want. You can do this once a week. Don’t go for longer than that or you’ll get a messy mustache. How many times do you have to do this? Cleaning your mustache depends on your lifestyle and the environment. If you work and live in a hygienic space hence you can wash your mustache every day and after every meal. And if your work and living space is polluted, then you should clean it several times a day. Be brave and was the undesired hairs. Waxing the mustache lightens up the face and adds definition. After drying your mustache, apply some moisturizer to hydrate the skin. Don’t go cheap instead choose the products that will benefit you in the future you and spare you a lot of visits to the barber’s shop and a lot of disapproving looks from people. Take care of your mustache; it’s the first thing that catches the eye. Scrub your face and mustache to get rid of the debris. Don’t improvise; choose the mustache style that fits your face’s shape. Before sleeping, cold water is an excellent way to get rid of any dead skin and matter stuck on your face. I am Admin James and there is nothing I like more than staying fit and neat. Trimshaver.com is a platform where I share everything a man/woman needs to keep trim. How to Fix a Patchy Beard: Do beard supplements really work? Why You Should Grow a Beard Starting from Today! TrimShaver.com is a participant in the Amazon Services LLC Associates Program, an affiliate advertising program designed to provide a means for sites to earn advertising fees by advertising and linking to amazon.com.